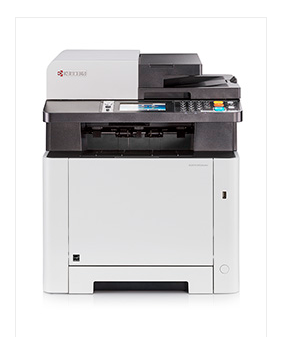 The ECOSYS M5526cdw Color multifunctional printer delivers advanced features for the budget conscious business. With a Copy, Print, Scan and Fax solution providing superior output speeds up to 27 ppm, along with the additional On-The-Go printing and scanning capability, workgroups of all sizes can easily drive their business from anywhere. Designed with a tablet-like touch screen for ease of use, exceptional business quality color output and low TCO, you can now affordably take your business to the next level.